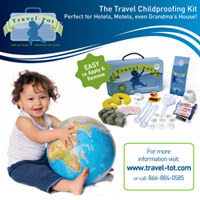 Travel-Tot: November is Child Safety and Protection Month! November is Child Safety and Protection Month! 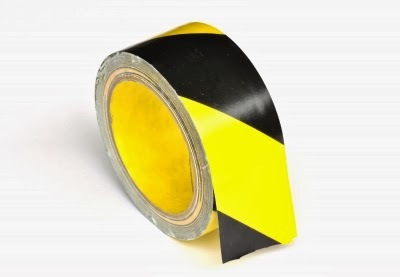 Childproof: Whether you are home or travelling, childproofing is critical, particularly for infants and toddlers who are more likely to encounter hazards that could result in choking, pinches, strangulation, poisoning, or other injury. Use car/booster seats: While laws differ by state, the American Academy of Pediatrics recommends the following guidelines: rear-facing car seats for all children under 2 years of age (or maximum height and weight requirements for the seat), forward facing car seats until children reach the maximum height and weight requirements, and booster seats for children between the ages of 8 and 12 until they have reached a minimum height of 4 feet 9 inches. Emergency preparedness: The keys to staving off panic in an emergency are proper preparation and planning. FEMA offers numerous fantastic publications for specific different types of natural disasters (earthquakes, hurricanes, tornadoes, etc.). In addition, having your emergency information centrally located can help reduce the response time in the event of an emergency where you may be separated from other members of your family. Vigilantly supervise children around water: Drowning is one of the most common hazards for children, whether around open water (lakes, rivers, oceans) or pools. Vigilant supervision goes a long way toward preventing injury, as does adhering to proper water safety practices (i.e. fences, life-jackets, swimming lessons, approved floatation devices, etc.). Insist on helmets for bike-riding school-aged kids: Again, laws vary by state, but all children should wear properly-fitted, protective headgear when riding bikes, scooters, skateboards or other wheeled vehicles. For more details and statistics, visit the Children's Safety Network. Educate high-schoolers about safe driving practices: While our kids wait their whole lives to get that coveted driver's license, we (their parents) are filled with equal parts joy and panic when the big day finally arrives. In addition to the many dangers that any seasoned driver faces when they get behind the wheel, new, young drivers (whose judgement and experience are less well-developed) face an increased risk of injury from a growing number of distractions. From over-loud music that can drown out emergency sirens, to cell phones, to intoxication, new drivers need to know how dangerous distracted driving is, and parents are the key. Parenting is a constantly morphing landscape of hurdles; by taking time to evaluate what you are doing, you may be able to put better practices into effect and plan ahead for whatever waits around the next corner. Products We Love: SoundSpa On-The-Go! Keeps Germs at Bay This Cold and Flu Season! Fire Safety: Detection and Escape!